Paris is a vibrant European metropolis offering a rich cultural history. 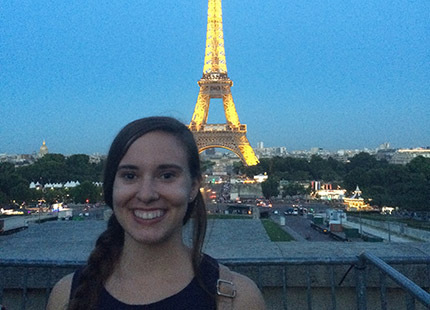 On this summer co-sponsored program, students can focus on improving their French language skills and studying the history and culture of France. Students will take courses at the IES Abroad center with other U.S.-based students. ** Note: -OS 100 (-OS 300) is the default designation to identify overseas study courses recorded as 100-level (300-level) undistributed credit that can count in total hours toward graduation and may be able to satisfy major, minor, or distributional requirements with the approval of participant's school or the department.